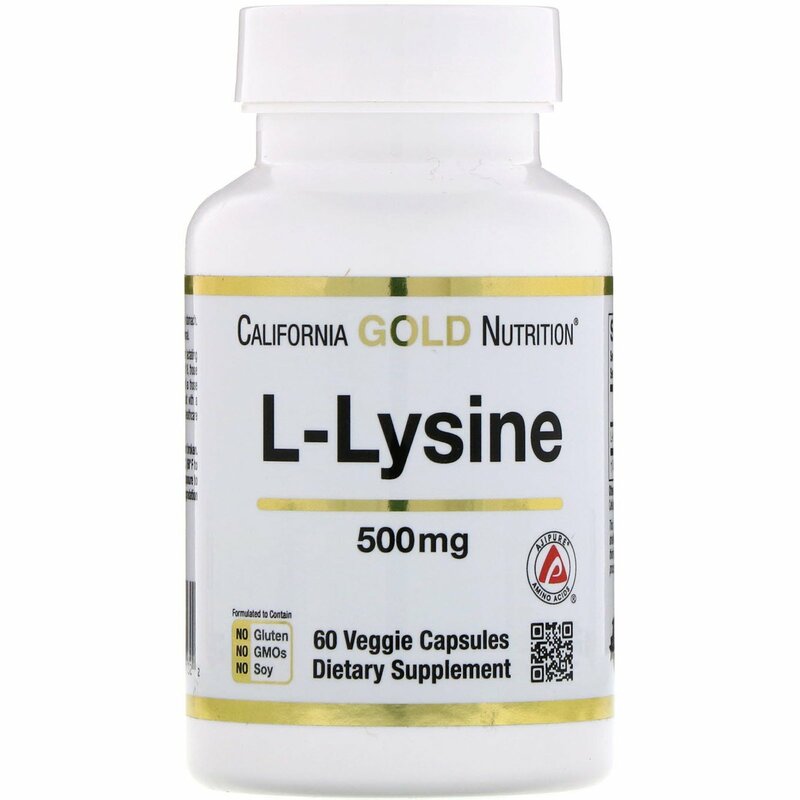 California Gold Nutrition’s AjiPure® L-Lysine is exclusively sourced from AJINOMOTO® and undergoes multiple stages of Quality Control. 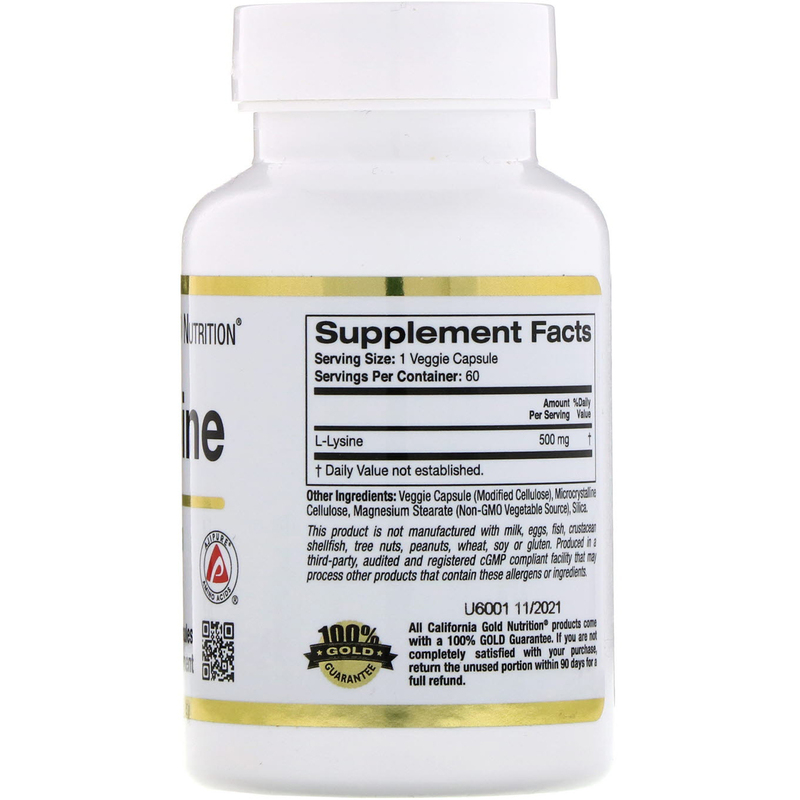 Take 1 veggie capsule 1 or more times daily, or an empty stomach. Best when taken as directed by a qualified healthcare professional. Veggie capsule (modified cellulose), microcrystalline cellulose, magnesium stearate (non-GMO vegetable source), silica. This product is not manufactured with milk, eggs, fish, crustacean, shellfish, tree nuts, peanuts, wheat, soy or gluten. Produced in a third-party, audited and registered cGMP compliant facility that may process other products that contain these allergens or ingredients.